Did you know? 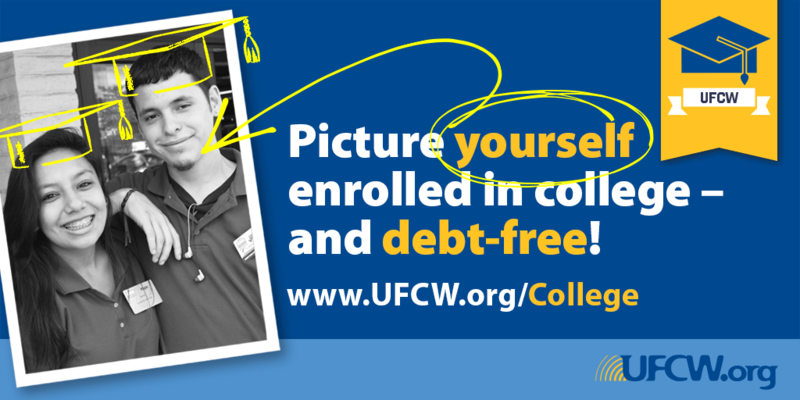 Members of our UFCW family and their families are eligible for no-cost college. Because of your UFCW membership, you and your family members can earn an associate degree online from a public, accredited community college – with no out-of-pocket costs to you. It’s all part of the value of being a member. Children (or stepchildren), grandchildren (or step-grandchildren), spouses, domestic partners, and financial dependents of UFCW members are eligible for the UFCW Free College Benefit.